Blog: Which Areas of Metro Vancouver Are The Most Affected By Current Housing Market? 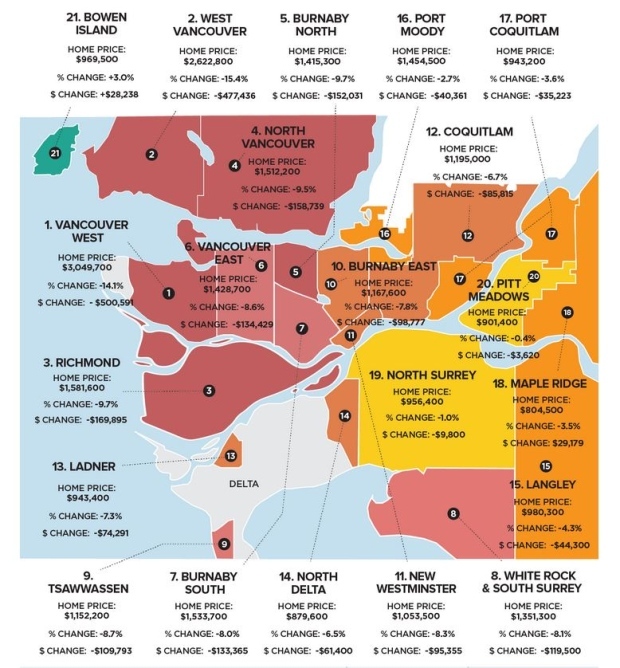 Which Areas of Metro Vancouver Are The Most Affected By Current Housing Market? According to calculations by Zoocasa the effect has been most dramatic in Vancouver's West Side. This infographic shows changes in the price of detached homes across Metro Vancouver between January 2018 and the same month this year.